Two Dot Books, 9780762797547, 240pp. 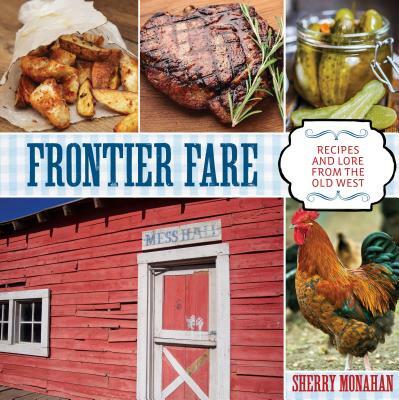 Drawn from the author's ongoing column in TrueWest Magazine, this cookbook combines myths, nostalgia, and legends with usable, delicious, and fun recipes for use at home or on the trail--all with a western theme. Readers will be surprised to learn the sto. Sherry Monahan is the incoming President of Western Writers of America, and holds memberships in the James Beard Foundation, Women Writing the West, the Author's Guild, National Genealogical Society, and the Association of Professional Genealogists. She has her own column in and is a contributing editor for True West magazine. Other publications include Mrs. Earp: The Wives & Lovers of the Earp Brothers, California Vines, Wines and Pioneers, The Wicked West, Taste of Tombstone, and Tombstone's Treasures.